Proper diet and nutrition, a healthy amount of sleep and exercise, and a stress-free lifestyle can all benefit our overall health and well-being, especially as we grow older. However, did you know that social interaction is also important in maintaining a healthy lifestyle? Our elderly loved ones, most especially, can benefit a lot from socializing, and a good way to ensure this is by having a companion. Research in geriatric care over the years have shown significant benefits brought about by companions for the elderly. One such significant benefit is a lower risk of dementia. This is because when seniors are interacting with other people and are engaged in lively conversations, their cognitive skills are functioning to grasp the substance of the exchange, as well as to remember certain things to bring up in the conversation. This, and the fact that they are able to express themselves through the exchange, enhances their memory and prevents dementia. Another advantage of having a companion for your elderly loved one is a lower risk of heart disease. As they get older—and especially when they are living alone—seniors tend to suffer from social isolation, or they would just feel very lonely. Because they are no longer as active as they used to, they may feel depressed or anxious about their current state. Emotions and feelings like these can cause major stress, and may even lead to coronary heart diseases, or stroke. Having a companion around whom they can interact with and talk to can prevent these feelings of loneliness and depression. Opting for companion services in Fredericksburg, Virginia can also give your senior loved ones the sense of security they need, for they know that they have someone with them who can offer assistance when needed, as well as to engage them in various activities such as cards, board games, and puzzles. 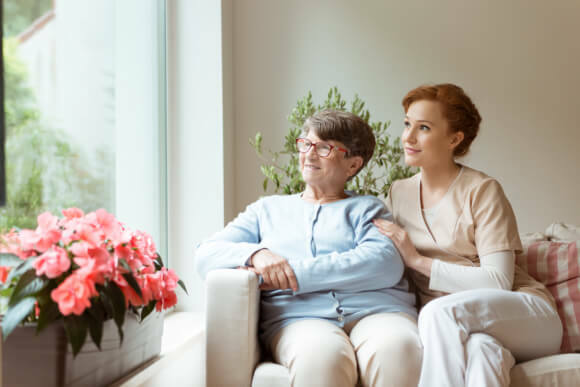 There are other benefits to be gained from getting a trustworthy companion for your elderly loved ones, which is why at OptimumCare Home Care Services, we provide companionship services aside from the various medical and non-medical services that we offer. We are also dedicated to providing quality in-home care. We understand how most seniors prefer to still remain within the comforts of their own homes even as they grow older. That is why we strive to give home care service in Woodbridge, Virginia that you and your elderly loved ones can trust to keep their health, safety, and security a top priority. Our services range from personal care—which aims to assist in the activities of daily life such as bathing, toileting, and meal preparation—companionship, and homemaking to medical services such as physical therapy, occupational therapy, and skilled nursing in McLean, Virginia. With OptimumCare Home Care Services, we aim to give only optimum care for your loved ones’ optimum health. Talk to us at 703-490-8003 to learn more about our in-home services, and see how we can help you. This entry was posted in Companionship and tagged healthcare, home care, Senior Care. Bookmark the permalink.